This door lock motor comes complete with locking rod, mounting bar, and all screws/fixings to do an installation yourself! 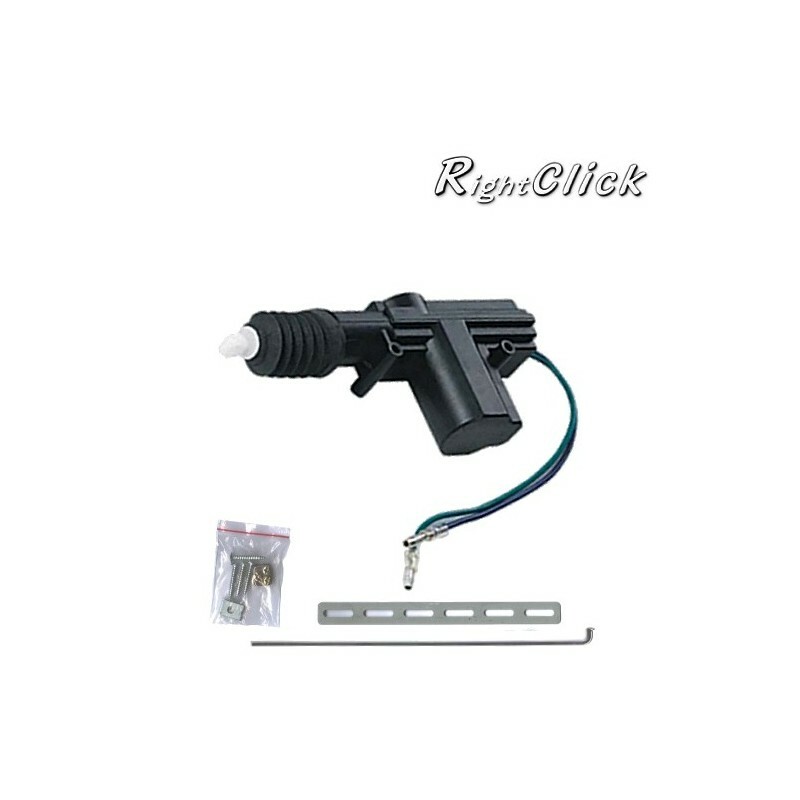 The motor can be added to any door and linked up to car alarm, remote starter system, or keyless entry system. 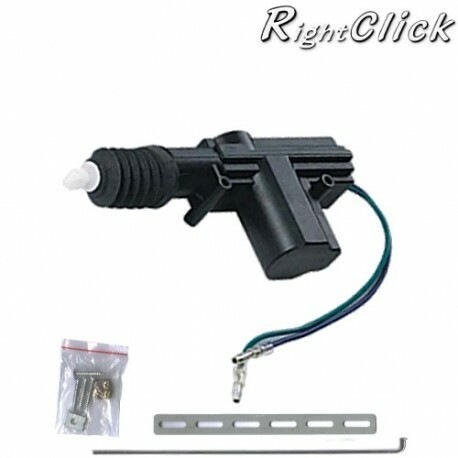 Can be used for many purposes, its main design function is to convert a manual door lock to an electrically operated one. The motor has two connections, which simply drive the motor (Green & Blue), just by connecting the Blue and Green wires (12v Pulse for lock, 12v pulse for unlock). Actuator travel is approx. 22mm. The hole centres for the (supplied) mounting screws are 57mm apart.